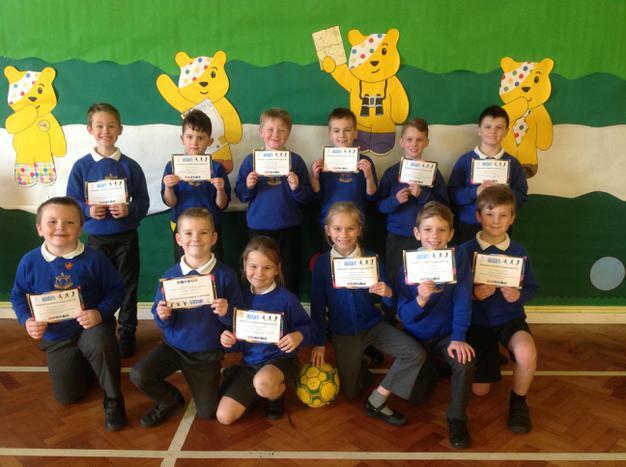 On Thursday 23rd November, 12 children from Year 3 and 4 took part in an indoor football tournament at Skegness Grammar School. There were 6 teams competing from 3 different schools. The children organised themselves as to who would play which positions very maturely and which children would rotate for each game. All the children showed excellent skill and teamwork. The B team finished in 3rd place and the A team finished 2nd, missing out on first place by 1 point, concluding their brilliant efforts with a superb result. Well done to all the children involved!